where he died in a psychiatric clinic in 1935.
soundtrack for the future film. expected to star in the film. 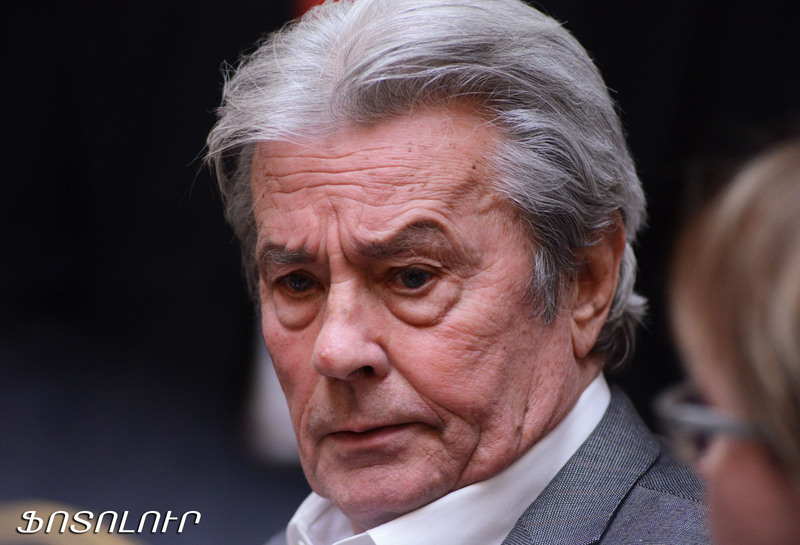 Turkey will shoot a film ahead of the 100th anniversary of the Armenian Genocide in response to Armenia’s plans to produce a movie starring Alain Delon, Ermenihaber reports quoting Haberturk agency. The issue was discussed at the meeting of the Turkish Grand National Assembly’s committee on “Armenian Genocide allegations” called to consider counter-measures to Armenian Diaspora’s genocide centennial preparation events. The Turkish movie will be titled “The Crack of our Heart.” The filming will start in a few months in Izmir. Opposition lawmaker Sinan Ohan said the movie’s title is unrelated to the Armenian issue. “It’s a love story,” he said. The report says American film director Steve Spielberg has already received the proposal to produce the film titled “The Wounded. As it was reported earlier, Delon will portray the great Armenian composer Komitas (1869-1935). The nightmare he experienced during the Genocide left a deep ineradicable impression on his soul. Komitas remained in seclusion from the outer world, absorbed in his gloomy and heavy thoughts – sad and broken. In the autumn of 1916, he was taken to a hospital in Constantinople, and then moved to Paris in 1919, where he died in a psychiatric clinic in 1935. Dustin Hofman is also expected to play in the movie. Serj Tankian, lead singer of the System Of A Down, has agreed to write the soundtrack for the future film. launch the production of a film entitled, Our Heart's Wound. breakdown in the wake of Genocide. the music will be the popular US-Armenian rock musician Serj Tankian.